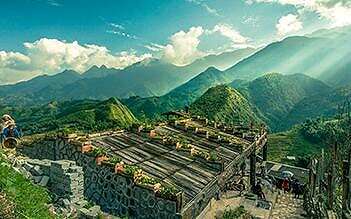 Luxury Combo Hanoi - Halong - Ninh Binh 3 days is designed for vistors who get ready at Hanoi and would like to visit top destinations in the North of Vietnam: Hanoi - Halong - Ninh Binh. 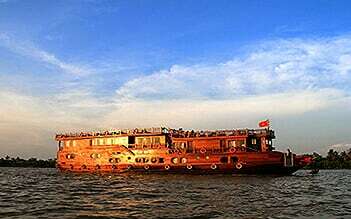 You will join 1 day trip to Halong and then to Ninh Binh with small group and luxurious services. 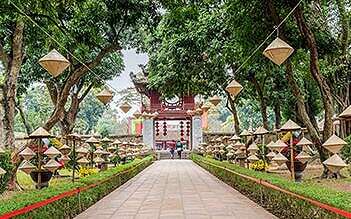 Tour guide and driver will pick you up at 8:00am then transfer to visit Ho Chi Minh’s Mausoleum (closes on Monday and Friday morning. 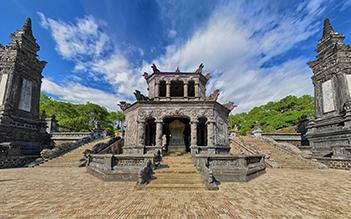 And closes during October), One-Pillar Pagoda, Tran Quoc Pagoda, and Vietnam museum of ethnology. 12.15: Arrive Tuan Chau pier. Check-in and embark on our cruise. Then enjoy a nice set-menu lunch on boat. After lunch, you are free to relax on sundeck. While the light of afternoon decreases slightly, hundreds of islands with different shares definitely amaze you by its natural beauty. Afternoon activities might include a visit to one of the most beautiful cave in Halong bay, a floating village for bamboo boat riding, and a lagoon for kayaking, swimming or only relaxing on sundeck. 17:00 - 17:30 back to pier and take bus to Hanoi. Tour guide and driver will pick you up at the hotel around 07:30 - 08:00am. 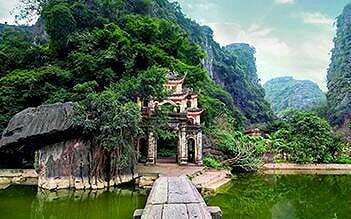 Then transfer on the expressway from Hanoi to Ninh Binh in comfort and time-saving. 18.30-19.00: Back to the hotel. End of services. Nature with an authentic vibe Boat trip across ricefields and rocks is an interesting & nice experience. The nature is great, quiet, relaxing. Not a "must" but worth experiencing. The scenery and tour down the river were amazing and well worth doing. Just be warned that at the end there is a little floating market where you are expected to buy drinks. Once brought you will find the prices have been inflated 1000% so be strong and say no. Also your tour guide will ask for a tip before he gets you back. Again be strong and tell him/her that you will tip at the end. Otherwise if they are unhappy with the amount they won’t take you back ashore. But please don’t let this put you off. The scenery is well worth it. you do not have to stop going They call it the inner Halong. 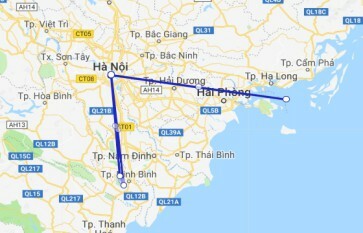 The route is shorter than Trang An. Ah! in summer the heat is SOFOCANTE.